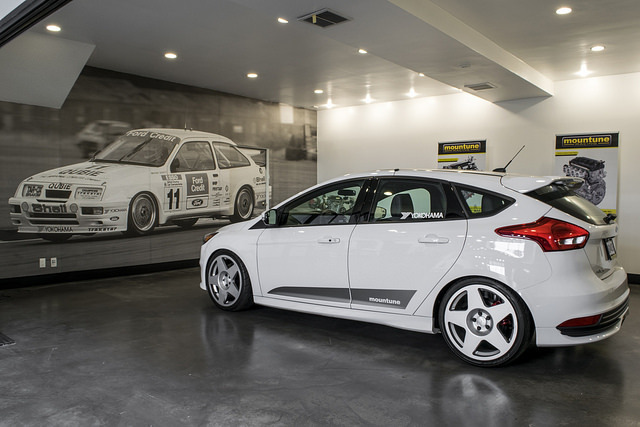 When the Ford Focus ST hit the scene back in 2012 with the 2013 model year, everyone knew it would be a great platform to build on. With it’s turbocharged 2.0L EcoBoost engine, 6 speed gearbox, and european styling, it’s a car that any car enthusiast can appreciate. This build comes courtesy of mountune USA in Carson, CA. 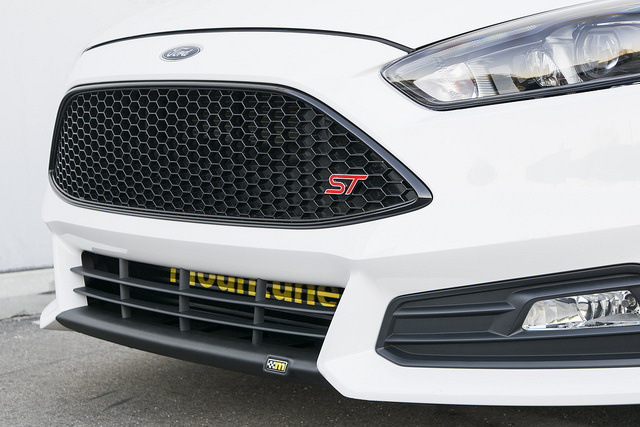 mountune has been in the game since 1980 building fast Fords. Whether it be your daily driver or full on race car, mountune has what you need. Starting off, it features a set of 19x8.5” et40 fifteen52 Tarmac wheels in Speed Silver wrapped in Yokohama AD08R tires (235/35R19). The Tarmac is perhaps the defining design that best represents everything fifteen52 stands for. The Tarmac is also the wheel that launched the 52/Ken Block relationship when it first appeared on Ken Block’s 650 hp Ford Fiesta Rally car in the wildly popular Gymkhana FOUR video and followed that up with an appearance in Gymkhana FIVE. 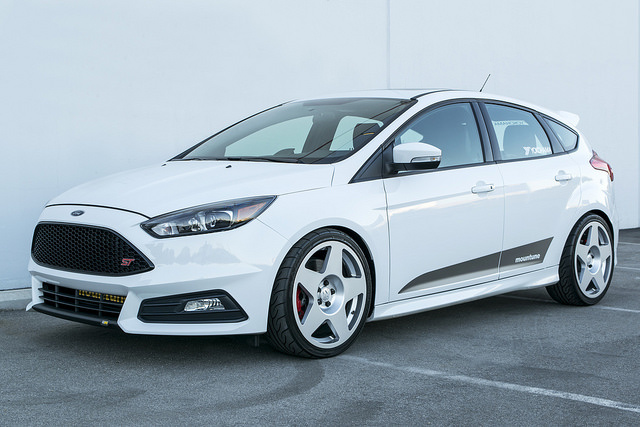 The Speed Silver finish of the fifteen52 Tarmac wheels pairs perfectly with the Oxford White color on the mountune 2015 Ford Focus ST. These wheels are combined with mountune Sport Springs, the mountune RS-R Brake Upgrade Kit, and mountune Front Strut Tower Brace offering an outstanding daily driving experience with much improved handling and braking performance. 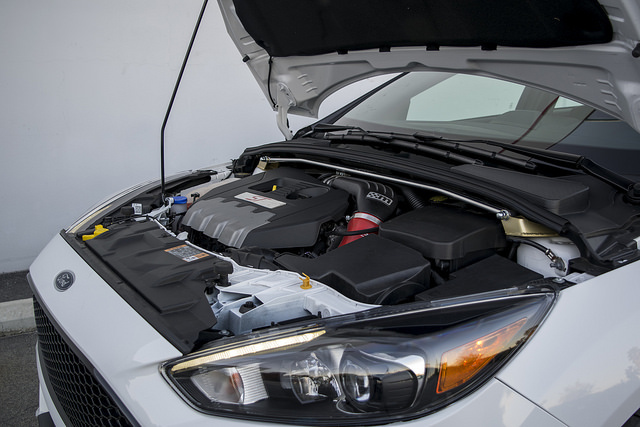 Under the hood we have mountune’s MP275 Performance Upgrade. This includes a mountune Low Restriction Intake, mountune Intercooler Upgrade, and mTune to load a Ford approved calibration which is warranty friendly and CARB approved. You no longer need to worry about modifying your car and bringing it to the dealer for service or breaking any laws. mountune couldn’t stop there though. To improve air flow into the engine, the mountune High Flow Induction Hose was added to the intake system, completing the intake tract by removing the stock rubber accordion elbow. The stock recirculation valve is made of plastic and prone to cracking and causing a boost leak, so it was replaced with the mountune Uprated Recirculation Valve for improved durability. 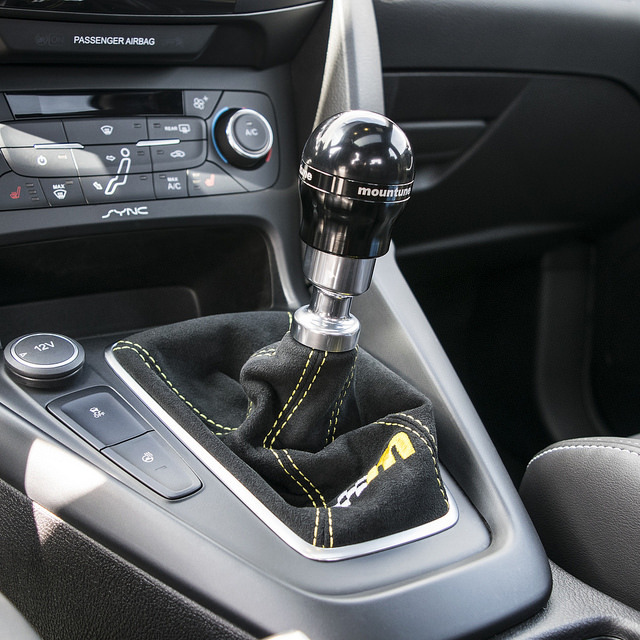 The engine in the Focus ST creates a lot of torque and has quite a lot of movement. You will notice some wheel hop when launching the car which decreases the power you put to the ground. To remedy this mountune added their rear motor mount. The mountune Rear Motor Mount consists of a high quality anodized billet aluminum body and a unique size and shore hardness polyurethane bushing engineered to control with horizontal plane NVH. The bonus of using polyurethane is that not only has it been engineered to give increased stiffness without causing excessive vibrations, it also doesn’t deteriorate like rubber does so the service life of the component is greatly increased. 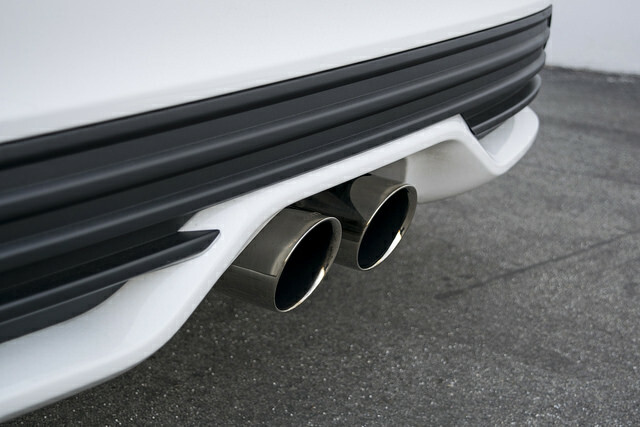 The mountune High Flow Exhaust ensures this car sounds just as good as it looks. mountune has been engineering exhaust systems for years with the objective towards increased power and response coupled with an enhanced exhaust tone and appearance. Each muffler includes a three layer hybrid synthetic sound absorption packing that eliminates droning, booming, and other undesirable tones. The Focus ST is a great looking car. When it comes to cosmetic exterior and interior modifications, sometimes less is more. The mountune Sport Spoiler is subtle but adds some style and road presence. Along with the mountune Dynamic Side Splash decals they’ve been able to enhance the looks of the exterior very tastefully. Inside you will find their alcantara shift boot and gearknob. A nice touch.